Draft: 2015, San Francisco Giants, 6th rd. Dugger was ranked the number two prospect in South Carolina by Baseball America. He followed his childhood friend, Daniel Gossett to Clemson. Gossett is a starting pitcher for the Oakland Ahtletics...Is the only Giant in the live-ball era (since 1920) to hit five-or-more doubles in his first five career games. Split his fourth professional season between triple-A Sacramento and the big league club in San Francisco...Had his contract purchased from triple-A July 8 and made his Major League debut that night vs. St. Louis...Recorded his first big league hit with a double off RHP Greg Holland ...began his ML career with a five-game hitting streak, recording at least one double in three of the five games...became the only Giant in the live-ball era (since 1920) to hit five-or-more doubles in his first five career games (Stats, LLC)...Hit .272 with 27 doubles, 39 walks, four triples, four home runs and 21 RBI in 78 games for triple-A...At the time of his call-up, his 27 doubles were the most in the Pacific Coast League... Scored the game-winning run in the Giants' 1-0, walkoff win on August 28 on a pinch-hit, RBI single by Gorkys Hernández...Season ended on August 29 when he was placed on the 10-day injured list with a torn labrum in his left shoulder suffered while diving back into second base a night earlier...had surgery on September 4 in Arizona performed by Dr. Gary Waslewski. Injury knocked him out of most of his 2017 campaign as he was limited to just 44 games...Missed the first seven weeks of the season with a right flexor strain in his elbow and instead of heading back to double-A, where he finished the 2016 season, he was eased back into things in the California League… just days after being activated on June 28, Duggar returned to the disabled list with a left hamstring strain on June 30...Promoted to triple-A in August where he appeared in just 13 games...Combined for a .262 batting average, 12 doubles, six homers and 26 RBI in 44 games...Played in the Arizona Fall League after the season, hitting .263 in 20 games and was named to the All-Prospect Team...Was a non-roster invitee to Giants camp for the first time in his career. Established a Flying Squirrels record with a 19- game hitting streak from July 18-Aug. 6...Named the Eastern League Player of the Week on July 24...Ranked as the 25th-best prospect in the Giants' organization according to Baseball America entering the season. Played for Salem-Keizer before joining the San Jose Giants during the CAL League Championship Series...batted .293 with one home run and 27 RBI in 58 games for Salem-Keizer...Ranked seventh in the Northwest League in batting average...led the Volcanoes with 35 walks (.390 OBP)...Combined to hit 33 doubles, nine triples, nine homers and drove in 63 runs in 115 games. October 2, 2018 San Francisco Giants activated CF Steven Duggar from the 10-day injured list. August 29, 2018 San Francisco Giants placed CF Steven Duggar on the 10-day disabled list. Left shoulder bruise. July 8, 2018 San Francisco Giants selected the contract of CF Steven Duggar from Sacramento River Cats. March 23, 2018 CF Steven Duggar assigned to Richmond Flying Squirrels from Sacramento River Cats. 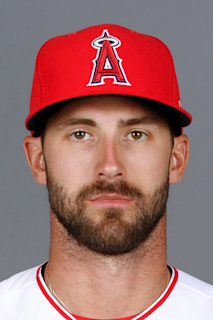 January 25, 2018 San Francisco Giants invited non-roster CF Steven Duggar to spring training. August 21, 2017 CF Steven Duggar assigned to Sacramento River Cats from San Jose Giants. July 15, 2017 San Jose Giants activated CF Steven Duggar from the 7-day disabled list. June 30, 2017 San Jose Giants placed CF Steven Duggar on the 7-day disabled list. June 28, 2017 CF Steven Duggar assigned to San Jose Giants from Richmond Flying Squirrels. June 25, 2017 Richmond Flying Squirrels sent OF Steven Duggar on a rehab assignment to AZL Giants. April 6, 2017 Richmond Flying Squirrels placed CF Steven Duggar on the 7-day disabled list. February 1, 2017 San Francisco Giants invited non-roster OF Steven Duggar to spring training. June 30, 2016 CF Steven Duggar assigned to Richmond Flying Squirrels from San Jose Giants. March 22, 2016 RF Steven Duggar assigned to San Francisco Giants. September 17, 2015 RF Steven Duggar assigned to San Jose Giants from Salem-Keizer Volcanoes. June 29, 2015 RF Steven Duggar assigned to Salem-Keizer Volcanoes. June 20, 2015 San Francisco Giants signed OF Steven Duggar.